1. Recognise correctly 10 photographs or silhouettes of aircraft, shown for 10 seconds each, must be able to identify correctly 75% of the aircraft shown. 2. 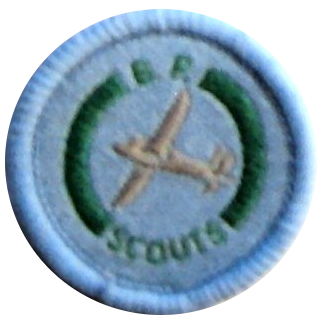 Be able to recognise and name from a list submitted by the Scout, national aircraft markings, both service and civil, of at least 6 countries, including UK. 3. Produce a log kept by the Scout for a period of not less than 1 month of aircraft seen giving identity or salient features and approximate headings. 4. Describe the recognition features of 6 aircraft selected by the Examiner, in terms commonly used in aircraft identification.